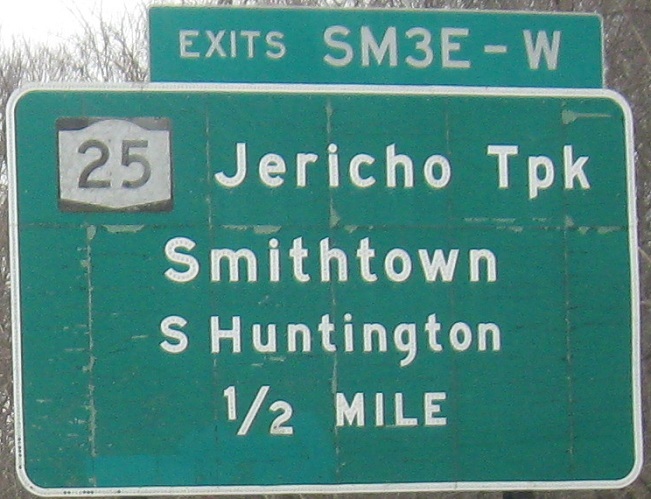 Sagtikos Parkway is the other half of NY 908K, and flows seamlessly into the Sunken Meadow at Northern State Pkwy., but has no interesting photos. 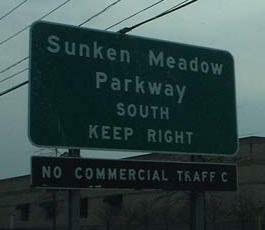 All southbound, all confusing. 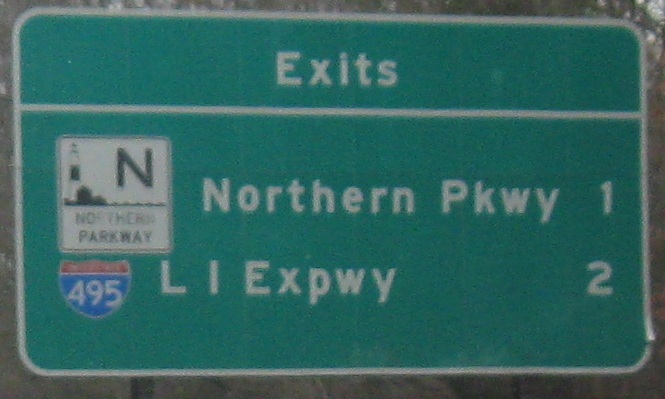 Long Island parkways have added letters to the exit numbers in order to differentiate several freeways with low exit numbers in close proximity, but that methodology breaks down in just this one case when there are two letters to be added. Suddenly, nothing fits on the gore signs, crews can't attach letters properly or match number and letter heights, and M's are used as W's in this topsy-turvy world. 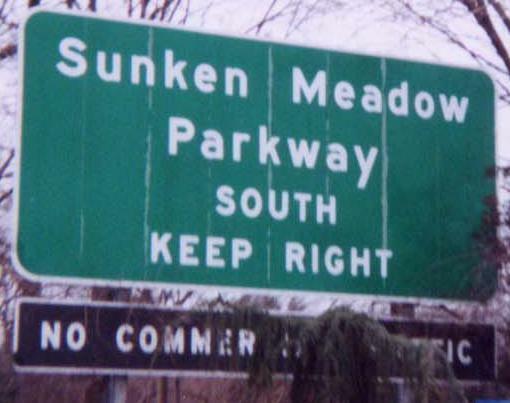 I wouldn't advocate renaming Sunken Meadow Pkwy., but just maybe it could renumber a few exits and share the "S" (instead of "SM") with Sagtikos Parkway. This SB sign could use a layout expert. The shields should be comparable sizes, and with all that green space, they should not be crowding each other. 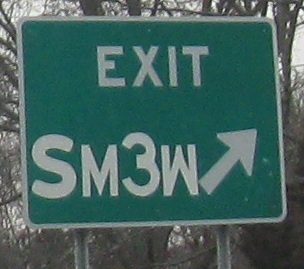 It's confusing enough to have an E, W, and A, and then add "SM" to every single sign and it's that much worse. 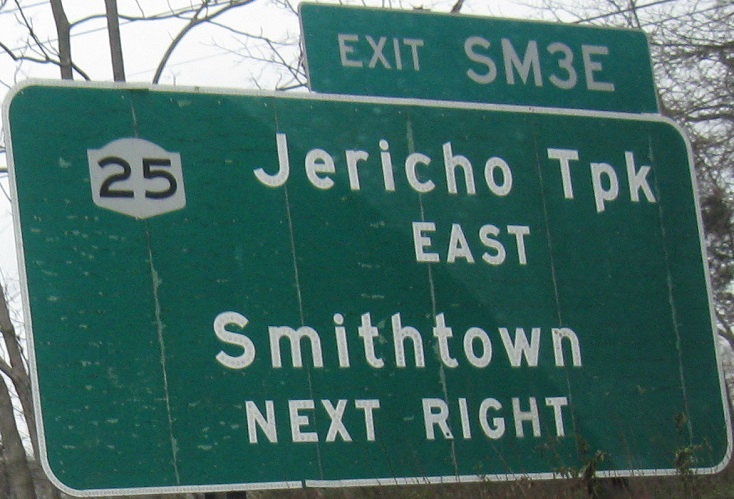 So in that last sign, NYSDOT should have held back and not added the exit tab, because now it seems like both exits are SM3E. 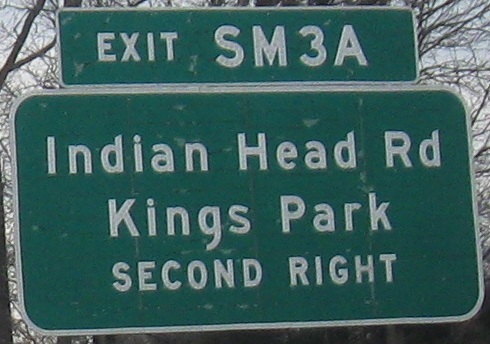 The second sign was the only example of button copy alphanumeric exit numbering (i.e. 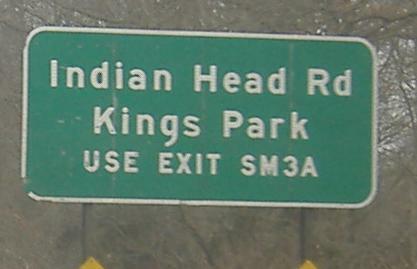 beginning with the parkway letter) I found on Long Island. 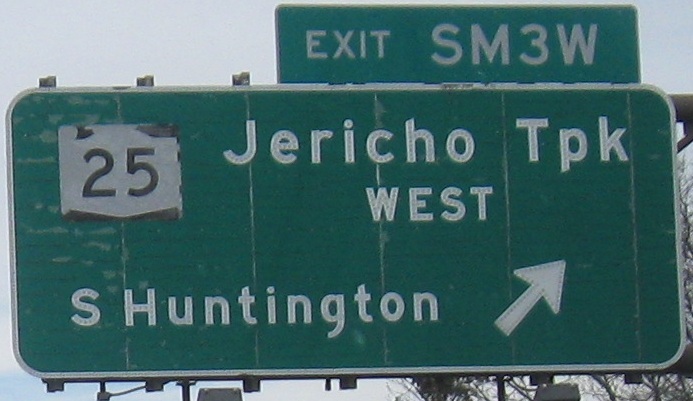 This is a northbound progression. 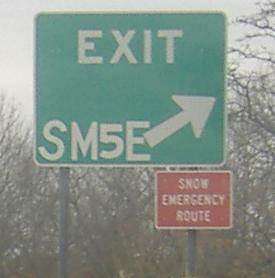 Still NB, it's almost as if only Exit SM3A ever had an exit tab in the button copy days. And there's that upside-down 'M' again. 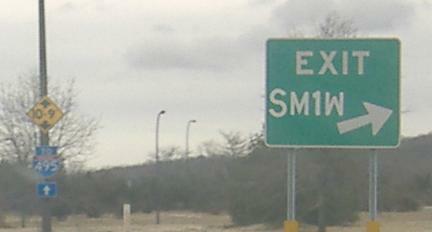 Courtesy Doug Kerr, NY 454 EB and WB at Exit 3. 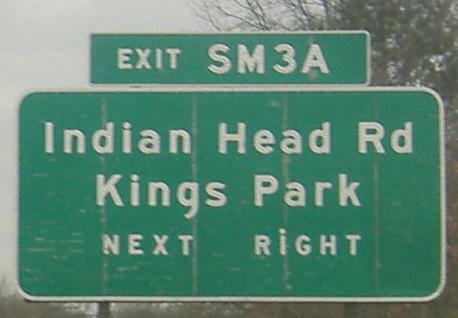 Only one of the four outer cloverleaf ramps are present at that interchange; WB-NB is served via Exit 3A and SB-WB is served by a ramp to Old Indian Head Rd. 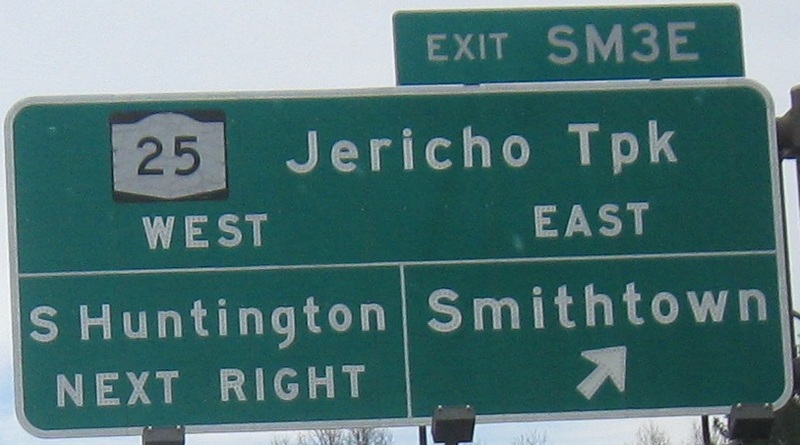 That leaves EB-SB, and that's where NY 454 comes in. Looking west along Long Island Sound from the top of the Parkway in Sunken Meadow State Park.